Fulham play Chelsea in the SW6 derby at the weekend, with alot at stake for both sides. Fulham will be looking to restore pride, after Claudio Ranieri was sacked on Thursday after their 2-0 midweek loss to Southampton. Fulham have appointed Scott Parker as the caretaker manager, and although Fulham already looked doomed for relegation this season, Parker will have been instructed to restore the pride back into the club as they prepare for next season in the Championship. For Chelsea, they are starting to show signs of improvement under Maurizio Sarri, and this was shown in their impressive 2-0 win over Tottenham in the League on Wednesday. 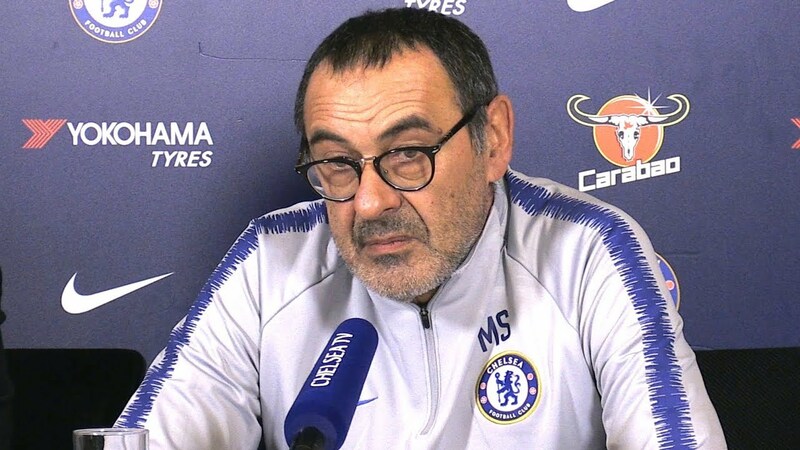 Chelsea fans will be relieved to see Sarri starting to adapt, but now they will want some consistency to help them push for top 4 and consistency would reduce alot of the pressure on Sarri which still remains despite recent performances. This game is a must win for Chelsea, but not for Fulham. The Cottagers will want to upset their neighbours and dent their chances of finishing in the top 4 this season. Fulham remain without goalkeeper Marcus Bettinelli and centre-back Alfie Mawson, the latter of whom has started his rehabilitation following a knee injury. Given Fulham’s woeful recent form, it seems a good bet that Parker might be eager to make one or two changes to an underperforming team. Chelsea are largely free of injury worries at present, while it remains to be seen if Kepa will return to the starting XI against Fulham or in next week’s Europa League last-16 first-leg tie against Dynamo Kiev. Deputy Willy Caballero kept a clean sheet against Spurs, but Sarri insists that Kepa remains his first-choice goalkeeper. Fulham’s predicted starting eleven- Rico; Denis-Odoi, Nordtveit, Ream, Bryan; Anguissa, Chambers, Cairney; Babel, Sessegnon, Mitrovic. Chelsea’s predicted starting eleven (4-3-3) – Kepa; Zappacosta, Luiz, Rudiger, Emerson; Jorginho, Kante, Loftus-Cheek; Hazard, Hudson-Odoi, Higuain. Sarri on Kepa: “Kepa is our first goalkeeper but we are very happy for Willy, now we know very well that he is able to play in a very difficult match. I am sure that Kepa will play in one of the next two matches.” Says he hasn’t decided which goalkeeper yet. Sarri on rotations: “On Sunday we played for 130 mins, 95 on Wednesday, we need to value the recovery. We ran for 15km on Sunday as average, the average of the last match was 12.” No injuries though. These two sides from SW6 have met 81 times over the years in all competitions, with Chelsea having the majority of wins over their West-London rivals. The Blues have won 46 times in all competitions against Fulham. There have been 26 draws between these sides over the years, and Fulham have only beaten the Blues on 9 occasions! In terms of just League head to head record, these two sides have met on 71 occasions in League competitions, with the Blues winning 71 of the League games over the years against Fulham. There have been 22 draws between these two sides over the years in the League. And Fulham have beaten the Blues on 7 occasions in the League. In terms of the most recent meeting between these two sides, it came earlier this season in the Premier League (2nd December 2018), where a Pedro and Loftus-Cheek goal was enough to see how a hard working Fulham side on that day. Betfair have made Chelsea favourites for this West-London derby, with a Blues win being priced at 8/15. A draw between these two sides on Sunday is being priced at 7/2. And a shock Fulham win is being priced at 6/1. My realistic prediction as a journalist for this game is a very tight 1-0 win to Chelsea. I think this game will be harder than what people think, considering that the Fulham players have a point to prove after Ranieri was sacked this week. My Optimistic prediction for this match as a Chelsea fan is a comprehensive 3-0 win to the Blues. Even though Fulham will be up for this match, I think Chelsea’s quality should show through in the end. I predict Higuain to score 2 goals, and Loftus-Cheek to get a goal. Next postA Culture Change at Chelsea?